Steel Buildings is brought to you by Omega. 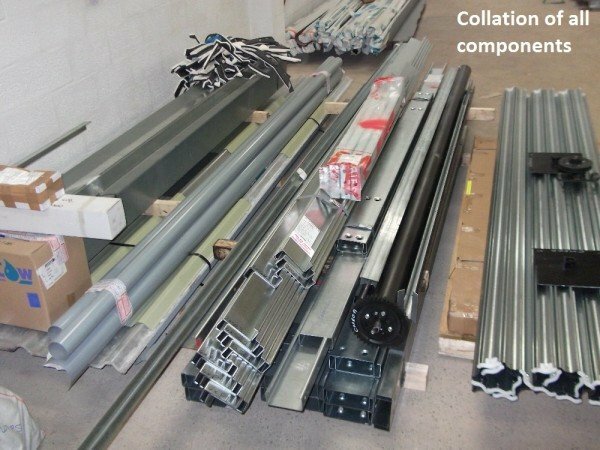 Established in early 2010, following advancements in manufacturing capacities and capabilities of Cold Rolled Sections roll formers and higher yield material availability. Providing better strength to weight ratio’s. It was the perfect time to develop and Launch our own Cold Rolled Building Solution. We developed our own in house design and detailing software, allowing Steel Buildings to provide fast and efficient design and quotations. There were and are a number of cold rolled steel buildings suppliers, supplying pretty much the same product. Which is mainly screwed together using light section fixings. We felt this could be vastly improved. 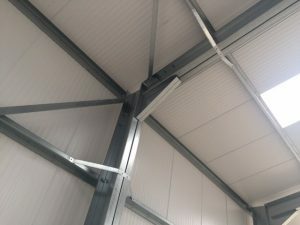 At Steel Buildings we feel our fully bolt together frame, rigid bracing system and robust brackets, provide a well thought out solutions for customers needing a building to full industry standards, and a creditable alternative to the traditional hot rolled fabricated construction of buildings. Due to our economic designs. Our industrial standard buildings. Also provide solutions for those needing a smaller buildings for non-commercial use. Again due to our well thought out connection details and simplistic approach. Those customers wanting to build their own Steel Building. Can do so, with access to a reasonable power tool collection, or a good local tool hire shop. As a business we have grown year on year, now operating from one of our own Cold Rolled Steel Building. The facility is purpose built, providing a firm platform for continued growth. While maintaining the service levels, that have help us grow. The team has expanded over recent year, along with the business. Steel Buildings now has access to years of experience within our team. We hope to have the opportunity in the near future, to provide you with one of our effective, economical, robust Steel Buildings.